Click the button below to add the Advantage Signature Elite Charcoal Gray Church Chair [PCRCB-111] - 20 in. Wide to your wish list. Our Signature Elite series church chairs are the highest quality church chairs in the industry today. Each Advantage Signature Elite Concealed Back Charcoal Gray Church Chair measures 20 inches wide with a 4.5 inch thick seat filled with 2 lb, 100% virgin polyurethane foam and 3.5 inch thick contoured and concealed back for exceptional comfort. 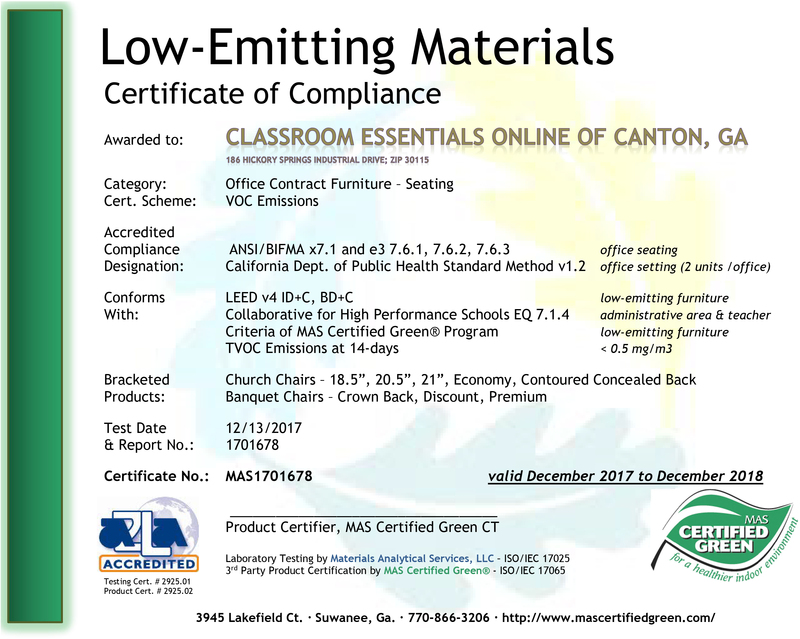 These sanctuary chairs feature a 1 inch square tube, 16 gauge steel frame, lightweight blow mold seat core, injected-molded back core and are constructed using t-nut construction, a method of attaching backs and seats that creates a metal on metal connection that will stand up to the test of time. Each of these church chairs for sale from Classroom Essentials Online is upholstered with an attractive charcoal gray fabric and a textured electro statically applied epoxy frame finish to easily add to your decor. Each church chair comes with welded ganging devices pre-installed, allowing you to quickly set up neat, even, rows of interlocking church chairs. Book racks with communion cup holders and card pockets are available as options. A tremendous benefit of these particular church chairs is that they will ship to you FULLY ASSEMBLED, saving you and your staff the time and frustration of assembling each chair. With an 800 lb weight limit (static weight), a 15 year normal use warranty on foam and fabric and a lifetime warranty on frame failure due to broken welds, these Signature Elite Charcoal Gray Church Chairs are sure to last for years to come. 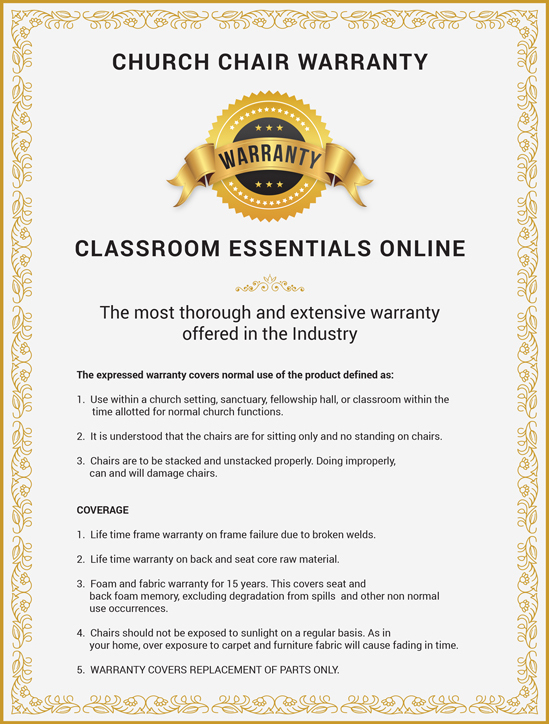 Here at Classroom Essentials Online we want to make your church chair buying experience as easy and streamlined as possible. This is why we're including "Flat Rate Discount Shipping" on all church chair orders! Lift Gate Service / Residential Deliveries : Shipments to commercial addresses without access to a commercial truck level loading dock or forklift require lift gate service at an additional fee of $50 per shipment. This service will allow pallets to be lowered to ground level for you (certain restrictions apply for over-sized products). 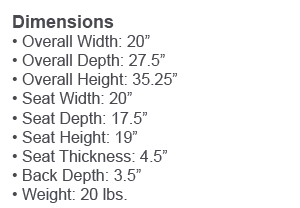 Residential deliveries are an additional $125 above the normal Zone 1 and Zone 2 shipping rates and include lift gate service for easy unloading. Orders of smaller quantities of folding chairs that qualify for standard ground shipping may ship at a lower rate. Details can be discussed with our sales team at: (855) 294-0532. Have More Questions? Need more information on delivery details? Please visit our freight information page.